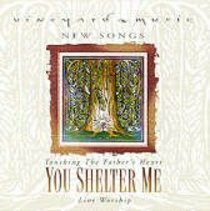 YOU SHELTER ME features well-known worship leaders David Ruis and Brent Helming.It is an intimate collection of new worship songs that will be enjoyed andusedby the church for years to come. Includes the song Mercy Is Falling. FromVineyard. About "You Shelter Me (#34 in Touching The Father's Heart Series)"